This past week saw quite a few strong performances from both home and away bands; rivalry week is, after all, typically a boon for band travel. As much as I'm not typically for mass bands, one in particular gets this week's recognition. To say it's been quite the year in South Carolina would be an understatement. From terrorism claiming the lives of nine in a Charleston church, to the ultimate action taken to remove the confederate battle flag from the grounds of the statehouse, to the flooding that devastated much of the state earlier this football stadium, the state often needed to draw upon the collective strength of its people. 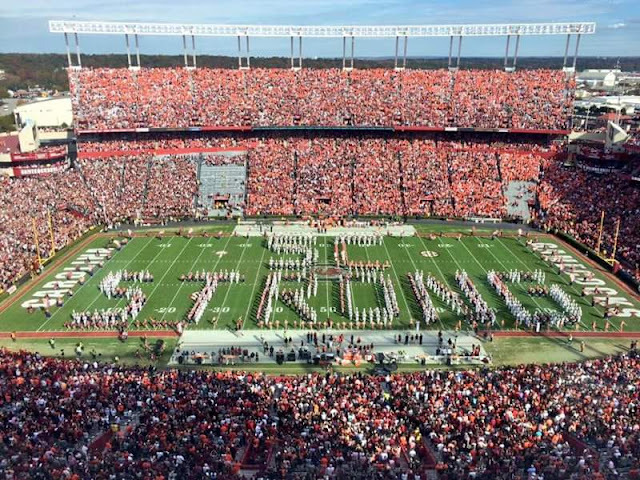 It was fitting then, that the bands of two bitter rivals in the University of South Carolina and Clemson University came together in a show entitled SC Strong. "This New Year's Eve Will Be So Awesome..."